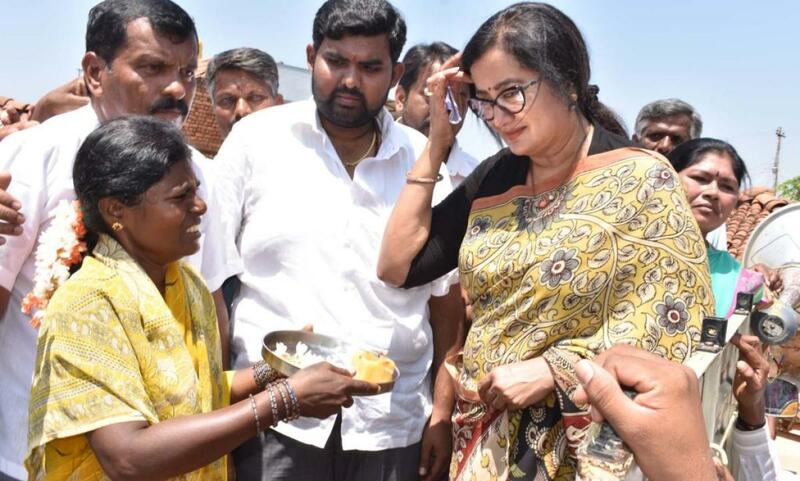 By denying actor Sumalatha Ambareesh a ticket from Mandya Lok Sabha constituency, the Congress has found itself in a tight spot. Though senior Congress leaders are in favour of Sumalatha’s candidature from Mandya, owing to the compulsions of the coalition government, they’ve reluctantly ceded the seat to the JD(S). The leaders, however, haven’t entirely given up on the notion of fielding Sumalatha on the party ticket from a different constituency. The Congress had earlier explored the idea of fielding her from Bangalore South. Sumalatha, however, had shot down the proposal. She had categorically stated that she would not contest from any constituency other than Mandya, a constituency which was represented by her late husband Ambareesh. Undeterred, the Congress is now learnt to be making attempts to convince Sumalatha to contest from the Mysore-Kodagu Lok Sabha constituency. Interestingly, the JD(S) has been vying hard for this seat. The regional party was planning to field academician K S Rangappa, who happens to be a relative of Gowda family. The party had in fact fielded Rangappa from the Chamaraja Assembly constituency during the 2018 Assembly elections. The former University of Mysore vice-chancellor, however, lost to BJP’s L Nagendra. It was also rumoured that JD(S) supremo H D Deve Gowda himself might contest from Mysore-Kodagu. The JD-S' demand for all seats in the old Mysore region, especially Mysore, had not gone down well with Congress Legislature Party (CLP) leader Siddaramaiah. Siddaramaiah, who has had a running feud with the JD(S) leadership, was upset with the regional party’s attempts to intrude into his home turf. The former chief minister and the JD(S), however, seem to have drawn up a compromise formula. The party is hoping to mollify Sumalatha by playing yet another emotional card. Sumalatha Ambareesh, however, flat out refused to even entertain the idea about contesting from Mysore-Kodagu on a Congress ticket. “I will not even consider it - it’s not on the table. I have made a promise to the people of Mandya that I will stand by them. By taking that word back, I will not only be letting them down, I will also be letting Ambareesh and his memory down. I have no clue what has transpired between the Congress and the JD(S), but this idea does not sound viable to me,” she added.